We collaborated with MU to create a mural that would represent the creative diversity of our neighbourhood. 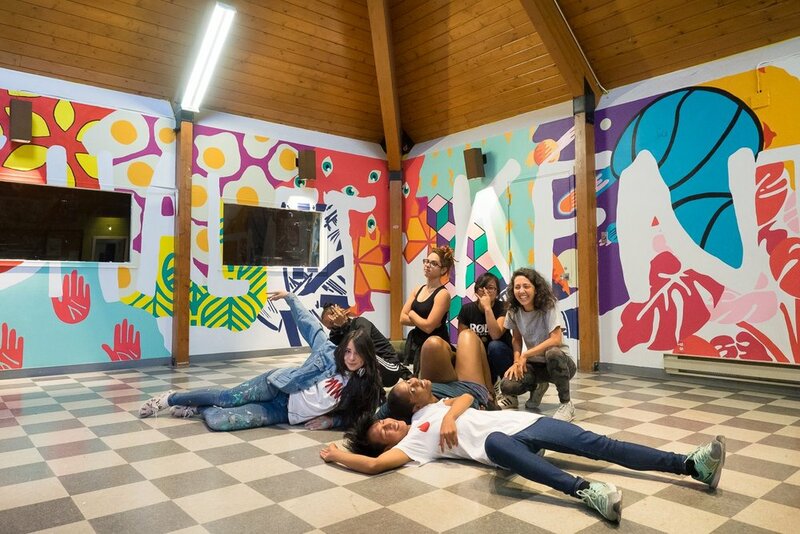 MU’s mission is to beautify the city of Montreal by creating murals that are anchored in local communities. At the heart of its approach is the desire to see and experience art on a daily basis, to trigger a social transformation and to turn Montreal into an open-air art MUseum!